It’s a new beginning for the Amazing Spider-Man! Peter Parker’s life is turned upside down when a revelation from the past puts his job, relationships and whole life in jeopardy! And as if that’s not enough, Spidey must deal with an alien invasion (with a mysterious twist), a new roommate (who’s secretly the villainous Boomerang), new wrinkles in his love life — and a dangerous new enemy! But are you ready for… Peter Parker vs. Spider-Man? Someone out there is impersonating Peter… but why? 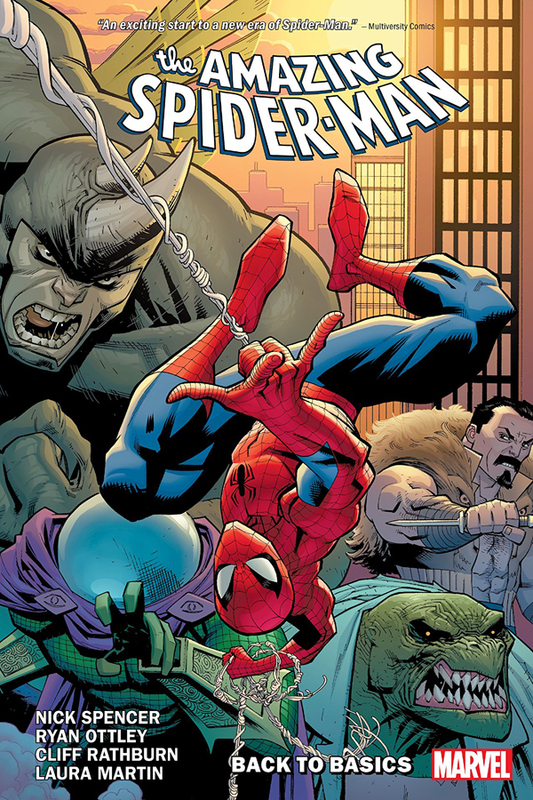 Be here as Nick Spencer and Ryan Ottley kick off a brand new era in Spider-Man’s life!